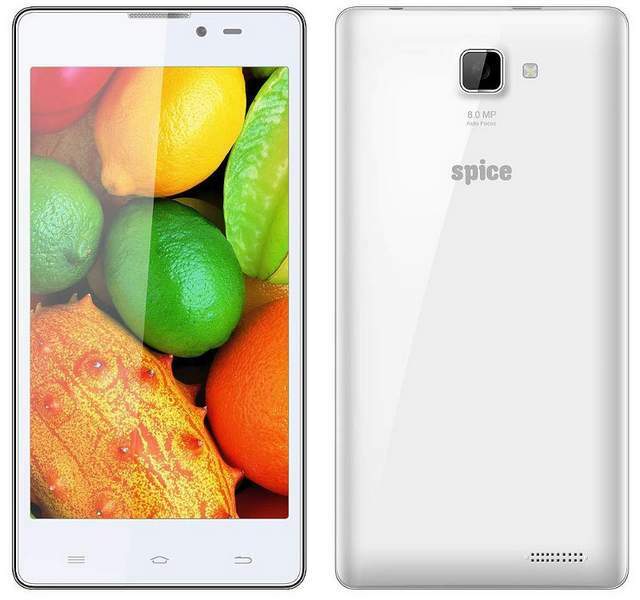 Spice Stellar Mi-509 ( 509) has been launched at price of RS 8000. The Stellar 509 features a 5inch display having 854 x 480 pixels display and 1.3GHz quad core CPU. It is a dual SIM smartphone with Android 4.2 Jelly bean OS. It would compete with Micromax A106 Unite 2 , Xolo Q600s and Moto E, even when it lacks Android 4.4 Kit-Kat OS. The Mi509 has 8-megapixel primary camera and a 2MP secondary shooter. The phone is accomplished with 1GB RAM and 4GB of internal storage. There is 2000mAh battery to power the handset. It comes with a free protective flip cover. It is available in White color and you can buy it from Home Shop 18.